Ford Motor Company announced major changes to its global leadership team on Thursday morning, as Bob Shanks, the company's chief financial officer, will retire at the end of the year. The company has named Tim Stone, a 20-year veteran of Amazon and the former CFO of Snap Inc., the home of Snapchat, as the company's new CFO. 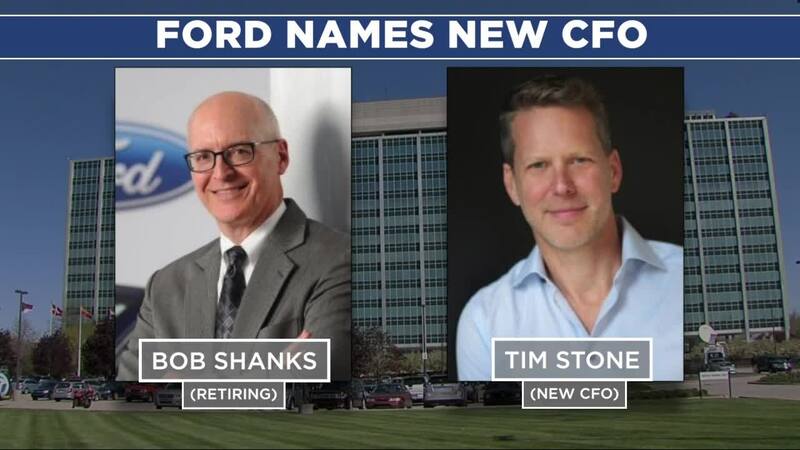 Stone, 52, will join Ford on April 15 and take over the role of CFO on June 1, reporting to President and CEO Jim Hackett. According to Ford, Shanks will work closely with Stone during the transition and then continue to work on projects until the end of the year. “We’re so excited to have Tim join Ford at this incredible time for our company as we strive to become the world’s most trusted company, designing smart vehicles for a smart world,” Hackett said. The company said Stone earned his degree from the University of Southern California and had previously worked in the tech space, but he also worked for his father, who was a plumber and general contractor, who always drove Ford vehicles. Stone left his role at Snap Inc. in January to pursue other opportunities, according to an SEC filing. The company also announced that Peter Fleet, the president of the international markets group, plans to retire. Mark Ovenden, who is currently the president of Ford Middle East & Africa, will take over on April 1. Other announcements include Stuart Rowley taking over as President of Ford Europe. He's currently the chief operating officer for Ford North America, and Steven Armstrong, who is being named chairman of Ford Europe.